It was a great summer for concerts, though I didn’t make it out to many. I did, however, find a way to see a couple of my personal favorites just a week apart mid-summer. Though I didn’t take many notes, I did take a few photos, so I’ll give you quick reviews and remind you why your music collections (and nights out) are remiss without these talented blues (or hyphenated-blues-based) artists’ music making them better. In fact, these two would make an amazing double-bill, with uniquely different but complementary blues-based styles. But I digress. 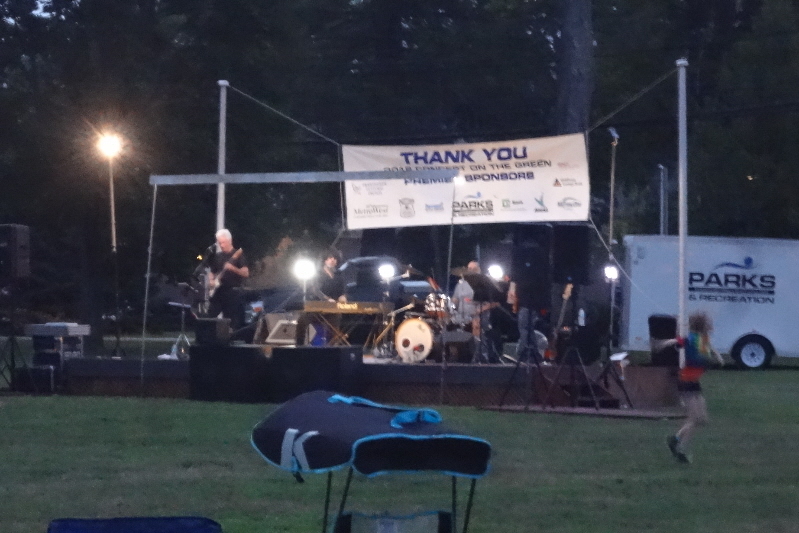 On his way back to Los Angeles from a featured spot at the Umbria Jazz Festival in Italy, Bob Malone stopped in Framingham and played at the Village Green as part of the Framingham Summer Concert Series. I arrived during his opening number, driving past the park in search of parking while “Chinese Algebra” drifted in through the car windows. Two sets of piano-driven, rockin’ blues followed. Bob’s vocals are reminiscent of a bluesier Randy Newman. His songs range from rambunctious to poignant, often connecting – on a real or exaggerated level – with very relatable experiences. And his keywork? I’ll quote (paraphrase) a woman in attendance who was attending on behalf of her church and handing out water to concertgoers on this warm July evening. She said he reminds her of Jerry Lee Lewis. Indeed, Bob’s music cuts across generations. Bob’s sets included a few of my favorites from his several albums, most heavily leaning on his newer stuff, of course. “Can’t Get There From Here,” “I’m Not Fine,” and “Ain’t What You Know” were among my favorites on the set list this particular evening. “Rage & Cigarettes” was another live highlight. 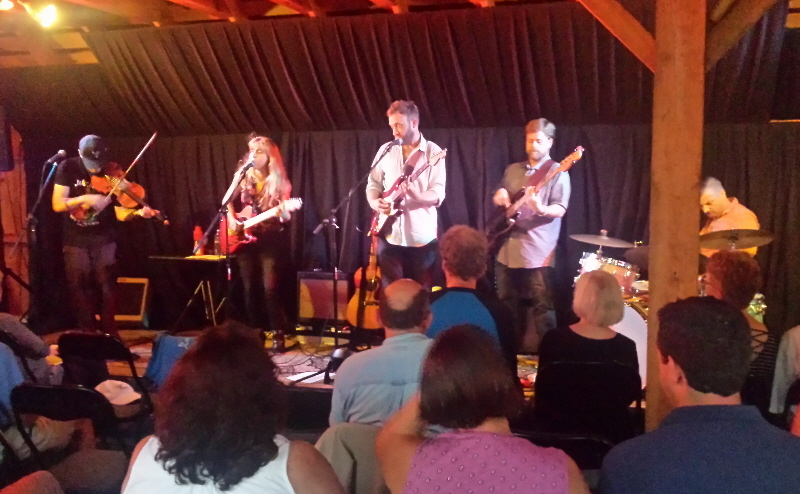 And, of course, “Stay With Me” got some of the crowd on its feet dancing… not quite to the extent it did at Bob’s Barn #81 show last fall, but pretty darned impressively for a laid-back, hot summer concert evening. Of course, there’s no wrong time for a Bob Malone concert. And this one ended with some emphasis, as Bob’s keyboard stand crashed to the stage at the very end of his final number. Even though I know it was unintentional, how rock ‘n roll is that?! I love being quoted, even if I have to quote myself, but the following tweet isn’t very quotable, so I’ll paraphrase. Clearly, if you weren’t at this show, to see Boston treasure Danielle Miraglia, you must be trapped under a rock. But I digress. We love Front Street Concerts; it’s always great food followed by a concert from reliably one of the area’s best artists. And we love Danielle Miraglia, the aforementioned transcendent talent whose rockin’ bluesy vocals and intricately crafted lyrics delivered with a smile and a wink should rightly have her playing arenas. 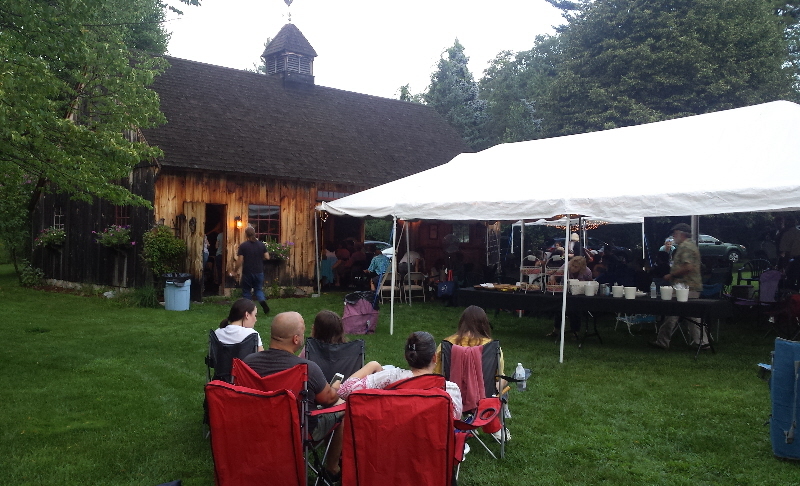 So where else would we possibly have been on this particular summer evening but at Danielle’s annual barn concert? Danielle isn’t afraid to mix in songs from her heroes, as the Rolling Stones, Janis Joplin, and Prince covers all made appearances. But, of course, the confluences of those influences are her original tunes, and that’s why she drew a backyard full of fans, because of her exceptionally engaging, wry, defiantly, identifiably Danielle Miraglia originals. Danielle drew songs from her last three albums for her originals this set. She opened things up with “Fair Warning,” a fun, energetically defiant, and snarky tune that’s… well, I was going to say it’s a crowd favorite, but they all are. The hook in “See the Light,” up next, grabs me every time. And “All My Heroes are Ghosts,” the title track of Danielle’s current album and a tune on the more thoughtful end of her musical spectrum, was next. Also in the first set were some attitude-laden personal favorites: “Monster,” “Don’t Pray For Me,” and “Aim Low.” Three songs with social and societal messages, cleverly told. Something very few do as well as Danielle. She and her band opened the second set with another statement on the state of the world, “Famous For Nothing.” A couple Spotted Tiger songs were thrown into the mix. 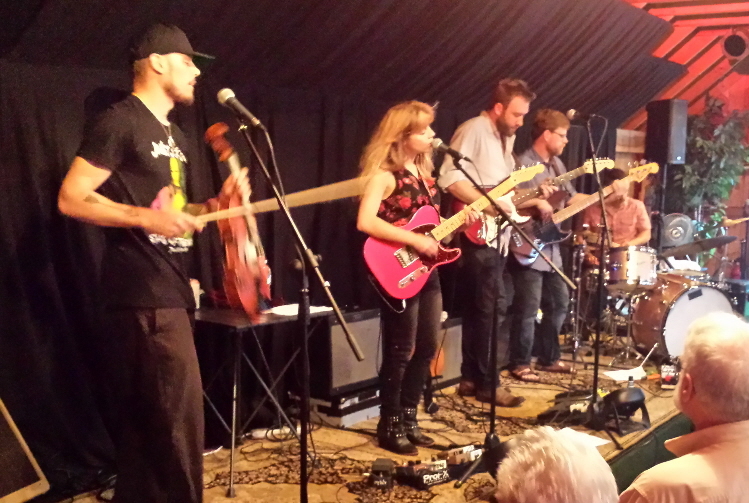 Spotted Tiger, comprised of Glory Junkies violist Laurence Scudder and guitarist Erik White, plays a uniquely eclectic brand of Americana, not quite rockabilly. The sort of music you might hear at a barn raising. A fun stylistic change-of-pace to the evening, this two-song interlude was a great nod to the exceptional talent of Danielle’s band, a very versatile aggregation of some of the best musicians in the Boston area. After Danielle’s cover of Prince’s “Raspberry Beret,” I was caught up in the music and forget to continue to take notes. I do know one of the show’s highlights came later when audience participation helped drive the power of “Choir,” a longtime favorite of mine. 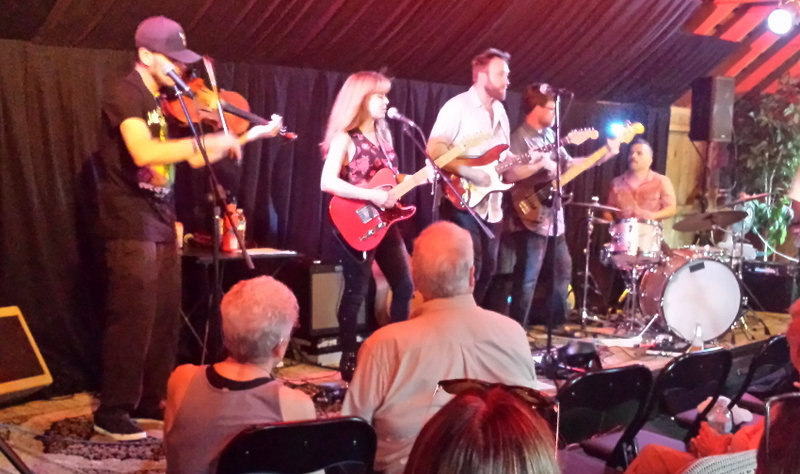 As always at a Danielle Miraglia concert, the experience was fun and satisfying, as if you attended a meaningful event; a Danielle Miraglia show never seems frivolous. And the hospitality (and delicious buffet) at Front Street Concerts always makes it feel like a gathering of old friends. More than a hundred old friends. I’m disappointed this was the only Front Street Concerts event I made it to this summer. My only Danielle Miraglia concert in a long time, too. But I’ll have a few chances to make up for that in the coming months. This entry was posted in Live Reviews and tagged Bob Malone, Danielle Miraglia, Geoff Wilbur, Geoff's Night Out, Live Review. Bookmark the permalink.